Looking for the Best Dentist in Croydon? 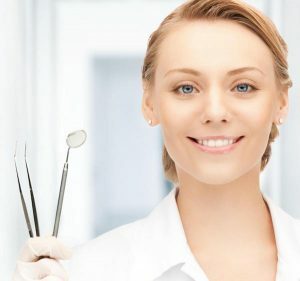 In your search for the perfect dentist in the Croydon area, you should think of it as looking for a partner. This is because you and your dentist will be working together to guarantee your oral health. This means it helps to find someone you are comfortable teaming up with. On the other hand patients are also concerned about spending their money well, and from a dentist they want good, convenient, economical dental care. At A Supa Smiles, we want to help you find your perfect dentist in the Croydon area, confident that you will then choose us! Below, please find some hints that will help you in your search for your perfect dentist. Do the office hours suit your work schedules? What kind of technology do they use in the treatment? Do they keep up to date with latest techniques and contemporary dental practices? Where did the dentist and the rest of the dental team receive their education and training? Will the dentist check your children too? How much are their treatment fees? Are emergency services available? What kind of services and at what hours? How does the dentist deal with inexperienced, sensitive, or anxious patients? Determine What Type of Dentist Your Family Needs: Start by thinking about the dental needs your family has so you can determine whether you need to search for a dental specialty. For many people, a general practice is perfect. But if you have teenagers who need braces, you might need to search for an orthodontist. Older family members might be better with a prosthodontist. Narrow Your Search Geographically: You want a dental practice that will be convenient to reach. Think about whether you will be driving to appointments from home, school or work, and search by zip code to find a dental practice that is conveniently located. Get Recommendations. Talk to your family, friends, doctor, or pharmacist. Use sites like Google and Yelp to learn about the experiences and recommendations of others. Choose a Few Top Contenders: Once you have found some dental practices that meet your general criteria, get to know a little bit more about them. Learn about the practice, find out what associations the dentist belongs to, review any available testimonials, and watch any videos that may give you further practice insights. Money Matters: Decide how you will be pay. Ask if your potential dentist accepts your dental insurance plan. If you do not have insurance will the practice accept your credit card? Even with insurance, some treatments may not be fully covered. Since it is a bad idea to postpone treatments, if you can’t pay all at once find out if the dentist has financing options available. Visit: Finally, you should take the time to visit your top dental office choices to take a look around and see if you feel comfortable with the office environment and dental care team. At A Supa Smiles we work hard to treat you like family, which is our main reference point. We always offer you the level of quality, caring dentistry that we would expect for ourselves. A Supa Smiles is conveniently located just off of the Maroondah Highway near Plymouth Road and Kent Ave, with public transport nearby. We also make it easy for you to get an appointment offering a convenient online form in addition to our phone line. For working patients we are open from Mondays to Saturdays, morning until evening. For more information about schedule and location, please visit our contact us page. Emergency dental treatment is also available!